On Thursday, Pope Francis met with Titanic star Leonardo DiCaprio in the Vatican, where the two reportedly discussed the care of the environment, among other things. DiCaprio requested the meeting, which took place from 11:15 to 11:30 in the morning. DiCaprio has worked for years on ecological issues and sustainability. The actor spoke on the subject of climate change at the UN COP21 Paris climate conference and at the World Economic Forum in Davos. Earlier last year, DiCaprio came under fire for having flown on a private jet from NY to LA six times in only six weeks, while simultaneously urging others not to use fossil fuels. Not long afterward, the actor returned to New York to accept a Clinton Global Citizen Award for his environmental preservation efforts. Another group mocked DiCaprio as a “celebrity hypocrite” for having celebrated the World Cup in 2014 aboard a 482-foot super yacht, owned by United Arab Emirates sheik Mansour bin Zayed Al Nahyan, whose family’s $150 billion fortune came mostly from the sale of oil. 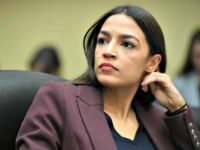 The site says that “we can lead by example in reducing our own ‘carbon footprints’ at home, at work, and at school,” while not specifically referring to air travel on private jets. The arrival of the American star in the Vatican occurred without publicity, with the name “Mr. Leonardo DiCaprio” appearing on the daily list of the Pope’s audiences the morning of the meeting. 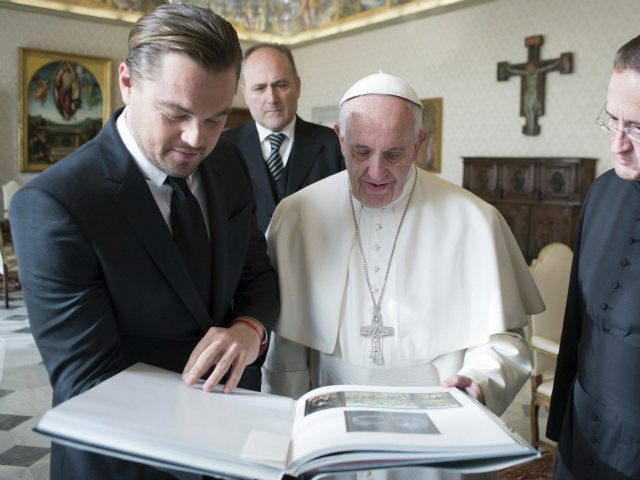 Pope Francis reportedly gave DiCaprio a leather-bound copy of his encyclical letter on the environment Laudato Si and his earlier document, The Joy of the Gospel.